Allison’s dream can true when she met Tony Kavanagh. They fell in love in days, engaged within weeks, married and expecting a baby within a year. Her cup had bubbled over with joy, but years later, that joy was extinguished by unexpected trials. Those trials took their marriage in a bad direction. So one day, she issues her husband an ultimatum, hoping that it would save him and their marriage, but instead, he left and left her crushed in the wake. 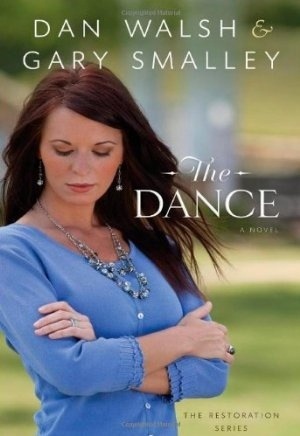 She was positive God had promised to heal her marriage, but now it seems she’d misunderstood. So Allison retreats to her quiet mountain cabin she inherited from her single self-reliant great aunt Emma. 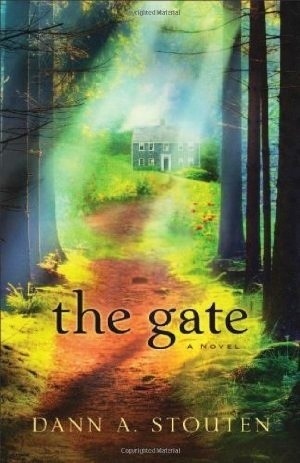 There Allison must come to terms with her grief and figure out how to adapt to small-town life. Along with these struggles, she finds a wedding dress and a collection of journals in Emma’s attic. Reading these journals paints a portrait of her aunt that leaves Allison stunned. The portrait is of a heart broken woman a lot like herself and helps with Allison’s healing as well as letting her see a side of her aunt she never knew existed. As Allison reads her aunt’s story, she’s forced to ask some difficult questions and work through some tough emotions but with The Lord nothing is impossible and sometimes promises you thought you misheard can come true in the strangest ways you thought possible. Allison greatest struggle will be giving up everything to God because she was always everyone else’s savior. Can Allison work through her grief and anger toward her marriage or will bitterness consume her? Can something good come from a divorce or will only bad come from it? Is it possible top piece together a life broken or are the pieces too small to pick up? Can Allison give everything she is and has to The Lord or will she remain selfish and mad at God? 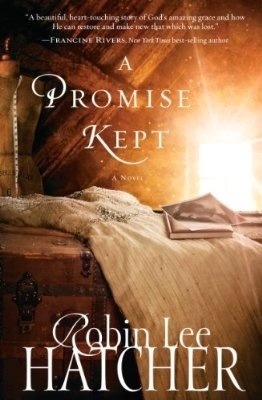 I’ve read a few Robin Lee Hatcher books over the years and enjoyed them but this one seemed so much more personal to me, probably because this book alludes to Robin’s own life and has elements of her own divorce and remarriage (to the same man) in it. The personal touch gave it a depth that I’ve very rarely seen and I loved the courage it took the author to be so vulnerable and write something so close to her own story. That wins some brownie points for me. Despite the heavy tone of the back cover and premise, it’s actually a fairly light read and is really easy to devour. My favorite parts of the book were the story of Emma, Allison’s great aunt. Emma’s story is like many women’s but hers is different in the path she takes and I loved getting to “know” Emma through the chapters that made her the focal point. The whole story of this remarkable woman is played out but by bit and it really gets your emotions involved and engaged in the outcome of the story. I enjoyed every second of this book. This book touches on two very different but just as sensitive topics: abuse and alcoholism. The way Robin Lee Hatcher addresses each instance is done remarkably well, it’s addressed without excuse but the whole book isn’t set around it. Instead, the book is set around forgiveness and surrender. Towards the end the forgiveness seemed to come too easily at times and the ending seemed too neat to be real life, but to have that neat little bow made the story have a happy ending and I love happy endings. This book is one of the first divorce/marriage issue book that I’ve truly enjoyed and recommend to more than just married folks. It wasn’t a book that revolved around the divorce part but more of the forgiveness and healing that comes for God alone part. Because it didn’t focus so much on divorce, I understood this book, and though I couldn’t fully relate, I could empathize with each character and feel each pain in a different way. It definitely makes this book unique. Robin Lee Hatcher did a glorious job making a book about divorce into a book an eighteen year old girl really enjoy. It was so well done that I just sped through it and enjoyed it too. This book definitely touches on some difficult topics but with grace and class that is amazing. Thank you Robin for having the nerve to put part of your story out there and doing it so well. I highly recommend this one. Overall, surprisingly, I truly enjoyed this one. This book is perfect for anyone struggling with their marriage of some sort or even someone who wants a good book on healing. This book is probably bed left to the adults but there’s nothing keeping your teens from reading it. I give this book a four and a half out of five. Ok, guys. It’s week 2 and it’s getting really difficult to pick these because they’re all so good and all have a point that I and possibly you can learn. This week I decided to pick one for singles and your desire for your “Prince Charming”. I loved this one and I hope that you do to. I have been married twenty-five years, and my husband and I joke that it has been seven of the best years of our lives. Why is it that we spend so much time searching for someone to share life with, and so many times the dream of wanting and wondering becomes better than the reality of the man or the marriage? I believe when a man walks down the aisle and says “I do,” his every hope and intention is that his marriage will be for life. He sincerely desires to understand and take care of the beloved bride he has chosen. He romanced her and worked hard to express his love so she would want to spend the rest of her life with him. He was determined to be her hero and lovingly lead her safely through life. The challenge for a man begins after he makes his wedding vows because, generally, no one has taught him how to accomplish his God-appointed position in a woman’s life. The man she longs for ends up feeling frustrated and angry, and he may give up trying. Their love story, which once fostered hopes of intimacy, happiness, and growing old together, withers into isolation, pain, and despair or divorce. I don’t believe our desire to find a good man is wrong, and we do have every reason to be cautious. Even in the church it seems that just about every day we hear about another man of faith who has fallen away from his wife, his family, and his moral convictions. Single women tell me about the heartache they experience after years of dating men who seem unwilling to commit. If you are single, I would love to share with you a “love checklist” to help you avoid pouring your heart into the wrong relationship. I have discovered it is better to be single and satisfied than heartbroken in the wrong relationship. If you are willing to open your heart to some motherly wisdom, please read on . . . The Love List . . .
1. Look at the way a man loves his mother because it is the way he will eventually love his wife. 2. Pay attention to the way he reacts when there is stress or conflict. 3. Meet his friends and keep in mind that the people he hangs with are a reflection of his heart. 4. Pay attention to what your good friends see in him, because often those who love you can see better than you can see when you’re falling in love. 5. Look at what he reads and what he watches on television, because they will be a reflection of his moral fiber. 6. Do your best not to be too physical, because it will cloud your vision and confuse your heart. 7. It is imperative that a man respect your boundaries without challenging them. 8. Ask him to pray for you often, because you will need a man who knows how to cover you in prayer. 9. Ask yourself whether you feel at home when you’re with him or whether you act like someone you’re not to get him to like you. 10. Before you say “I do,” go through premarital counseling with a pastor. Let’s pray for your future husband. . . . I pray for my future husband, wherever he is in the world right now. Prepare me to become the kind of bride he will need when we come together. Until You make me ready for him, let the only intimate relationship I seek be with You. Blind my eyes from wanting any other man than the one You have for me. Remove all men in my life who may keep me from recognizing him. Give me wisdom to seek what is pure and right in Your sight while I wait for him. Put such a deep passion in my heart for my purpose that I won’t be distracted or discouraged from pursuing all that You have for me. Deliver me from the traps of the enemy, and train me now to resist temptation. Keep me from falling into a counterfeit relationship, and give me the strength not to settle for second best. Give me the stamina to run this “singles” race until I cross the finish line and receive his heart—and Your blessing—as the prize. Amen. I hope you enjoyed this article as much as I did. This is yet another amazing article by Sherri Rose Shepherd author of Your Heart’s Desire. I was able to do this through her and again I want to give her a big thank you for that. Next Friday I’ll post another article. If you have any topic involving marriage and children that you want me to cover, I’ll try and find it. See you next week! Aaron Miller knows about loss. He lost love, dignity, and second and third chances. He lost his wife and kids over a decision he doesn’t feel like a hero for. He was once honored for his heroism, then hated for his participation, he now lives alone, in near obscurity, working as a handyman in a humble trailer park. No one knows what he’s done and he wants to keep it that way. Dave Russo lost his father during the Vietnam War when he was very little. Without being able to mourn properly because of the hatred surrounding the war, Dave has spent most of his life without proper closure. He decides to write a book about this iconic war to say goodbye to his father properly and to bring him closer to the father he never really knew. When he gets to interview a Vietnam vet, he gets an offer he couldn’t refuse, find the savior to him and his two buddies and enough money to he it done, then some. He’s now searching for the elusive hero, Aaron Miller. The search leads him to Karen Miller, Aaron’s daughter. As that relationship grows, Dave is determined to find Aaron, Karen, however, doesn’t want to see the man that abandoned her as a child. Will Dave find Aaron or will his search hit a dead end? Will Dave and Karen’s attraction grow or will it fizzle out after time? Will Aaron accept a near irresistible offer to be thanked for his heroism or will he deny the offer of gratitude? Will Dave finish his book and lay his father to rest or will he give it up before it’s finished? Having read previous rings from Dan Walsh, I kind of felt like I knew what to expect. However, the author surprised me and mixed it up a bit and made the book set more in the present, unlike his previous book. However, he stuck to his usual impeccable sense of detail and historical accuracy. Not to mention, the end of this book will literally bring you to tears. Like I said before, the author changed up the whole story-in-a-story thing and made it more of a singular story with different characters or at least a story-in-a-story with both story lines in the present. This was a change I didn’t expect and would’ve probably preferred a story more like The Discovery, but I don’t see how that would’ve worked out with the story line the way it was. One thing that the author stayed the same in was his historical accuracy and attention to detail. It’s one of the reasons I love him as an author. He makes sure everything is accurate and makes books that are unexpected and completely awesome. I particularly loved this books setting. I always wanted to read a book based in the much hated Vietnam War. It was something I was happy to read about because there isn’t enough out there about it unlike World War I and II. Like his last one, there was a romance. This one was about a couple in their forties which I don’t usually enjoy, however this one was cute. I don’t know how to explain it but this one was actually my favorite out of all the later-in-life romances I’ve read. I don’t know how he managed to do it, but the author made this romance adorable and totally believable somehow, considering how little time the couple knew each other before saying “I love you”. It was a major plus for this book. This author is a fantastic author who makes a book both men and women can enjoy all while making it a book-in-a-book and with historical accuracy. The more I read from this author the more I enjoy what he gives readers. I look forward to reading more from him and seeing what other great stories he can come up with. I also can’t wait to see how else he can tug at my heart strings and make me smile along with the characters. Overall, this book is a little different from the usual but nice nonetheless and a book men and women alike can enjoy. I recommend this for anyone who wants a book about Vietnam vets and a little romance as well. I give this book a three out of five.